Benton was one of those unexpected things. OwyheeStar knows the truth--a longhair can come from mating two smooth coats. Benton appeared in a litter produced by Storm and Dusty. No one for generations knew either of these lineages carried the DNA marker for the longhair. OwyheeStar saved Benton, and soon learned he was not only a Blue Longhair, but he homozygous. He only carries the DNA marker for blue pups. Any litter that includes Benton will only have blue pups. Unless the Dam is a carrier or a longhair, there will be no longhair puppies. 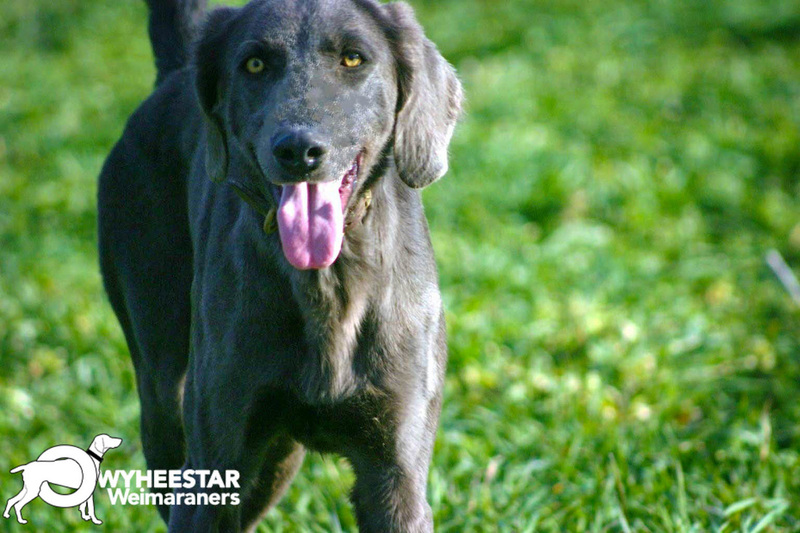 With the blue coat in demand, it means OwyheeStar can produce an entire litter of blue pups at will. This is Duck (a Gray Longhair) born to a mating between Dusty and Storm--just like Benton. His tail was left full length. OwyheeStar did dock Benton's tail; however, this was an accidental event. The Dusty sired 2003 litter (with Stormy) produced three unexpected longhair pups. Tail docking usually happens during the first 5-10 days. During this time, the Longhairs are not easy to distinguish from the traditional smooth coats. If you are not expecting any Longhairs you would not give it a thought--this was the situation when Benton arrived. (Therefore, all three pups were docked according to the Weimaraner Breed Standard). Later the Longhair factor was evident, but by then the tails had been clipped short. You might wonder how this mistake could occur. First there were no known longhairs in either lineage. The expectation was they were both clear of genetic marker for the fluffy coat (or Longhair). Secondly, this pair had produced a litter the previous year. In that litter there all pups were the traditional smooth coat variety. 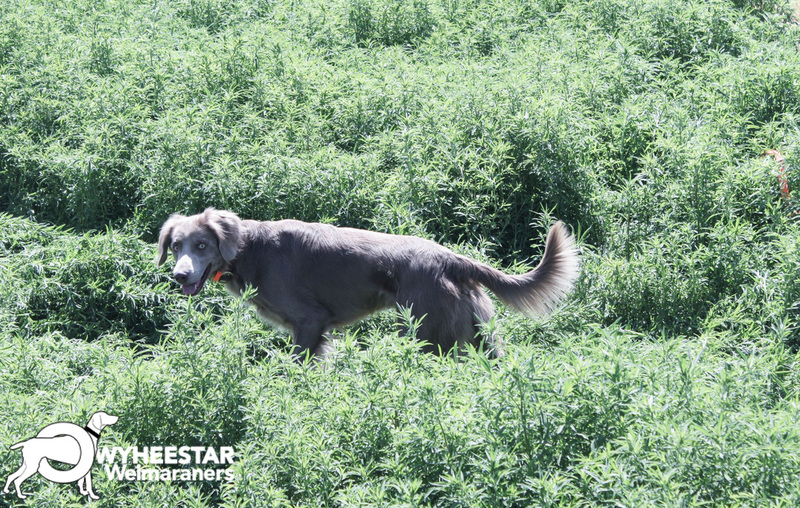 All Longhair pups born to OwyheeStar litters will have a full-length tail as per the Weimaraner Longhair Standard. There will be no exceptions, because nowhere in the world are the Longhairs docked.